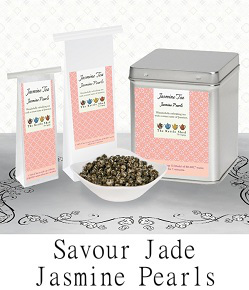 Most teas, including black, green, white and oolong, are developed from the leaves of the camellia sinensis plant. Tea isn’t that complicated, it’s like wine in that it depends on where in the world the tea is grown, the altitude, climate and weather. The human involvement in the cultivation process includes what season it is plucked along with the leaf treatment (whether the leaves are torn, rolled or whole, etc) and it is this craft of tea making creates the distinct differences in taste, colour and shape. The tea plant originated from China and really blossomed (commercially speaking) in around the 16th century. Tea is now grown in over 40 countries worldwide, it is even grown in Cornwall at Tregothnan Tea Plantation. The most popular places include China, India, Sri Lanka and Kenya. The Leaves are plucked and collected in baskets, carried on the back of the plucker and weighed before being taken to the factory for processing, or "making" as tea manufacture is known in the tea trade. 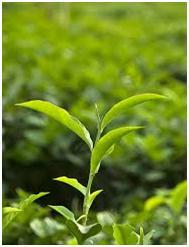 The leaves are then manufactured into the teas we enjoy today. These leaves are said to be the most natural, as they are picked in earliest days of spring. Then left to dry out in the sun or on bamboo mats in as warm drying room. The antioxidant levels are said to be higher than in other types of teas. These teas are generally termed as unoxidised, as no chemical change has happened in the manufacturing process. The leaves typically undergo a short period of “withering” before they are pan fried, or steamed, to lock in the flavour. The final stage involves rolling, pressing and twisting into shapes like the gun-power or sword. These teas are between a green and a black, made up of two manufacturing processes mainly from China and Taiwan. The three most important steps for producing the dark green, open-leaf oolongs are: repeated indoor and outdoor withering, tossing and turning the leaves for the oxidation to begin and the resting periods before they are dried out. These leaves are plucked and left to wither in the open air. Every country that manufactures black tea have there own particular variation. The 4 basic steps used are withering, rolling, oxidation sometimes (somewhat inaccurately) referred to as “fermenting” and firing (drying) to lock in the flavour.